Why Do People Paint the Bottom of Trees White? 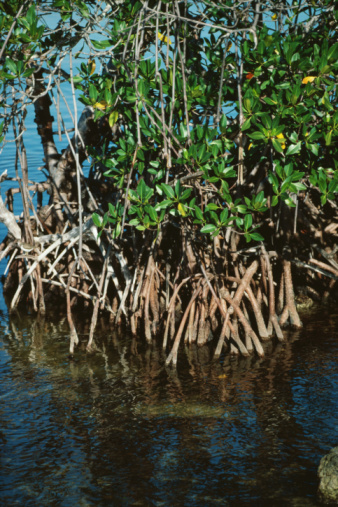 Moisture travels up through a tree from its roots via a vascular system that operates much like household plumbing. In plants, the fibrous pathways that conduct the water up from the soil are called xylem, and they're constructed of millions of cells that move the water from the roots to the tips of the leaves. In winter, tree trunks warm and cool depending on how much sunlight they absorb. 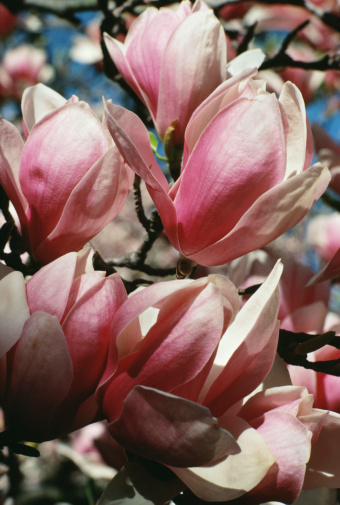 This allows the sap to flow during the day, but once night-time temperatures drop below 32 degrees Fahrenheit, it freezes, causing the tree's tissues to tear. 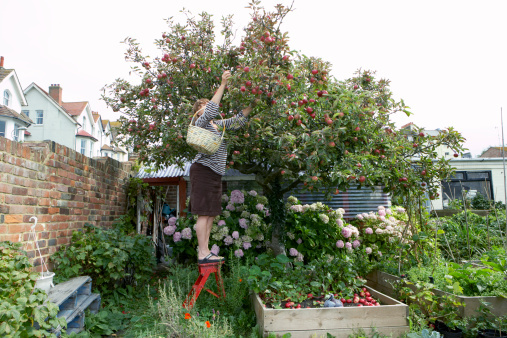 This is particularly harmful to fruit trees, whose crops are often seriously affected by winter damage. Whitewashing tree trunks help reflect sunlight, which helps the trunk from overheating. A man paints a tree trunk with white paint in the winter. 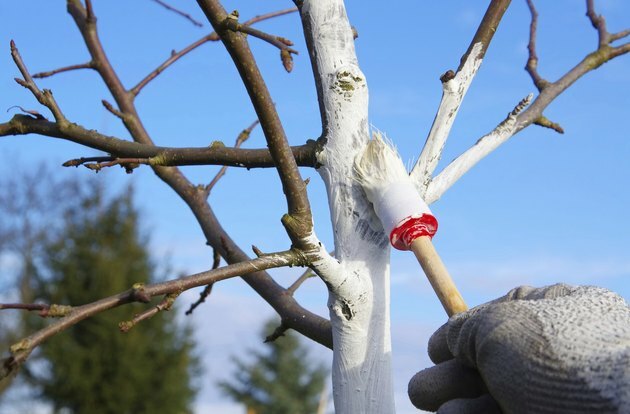 Applying whitewash to the trunks of fruit trees in late fall creates a barrier that reflects rather than absorbs the sunlight. Apply the paint from ground level to the bottom branches. The result is the sap in the xylem closest to the surface of the tree beneath the bark remains at a relatively stable temperature all winter and does not experience alternate episodes of freezing and thawing. 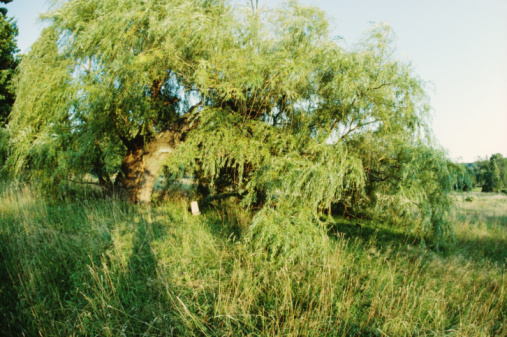 The whitewash also prevents sunscald during the winter months on other types of trees that results in the death of the tissues on the side of the tree exposed to the most sunlight. According to the Oregon State University Extension website, whitewash is a blend of salt, water and hydrated lime, or made by equal parts white exterior latex paint and water.